For ECE I’ve been reading “Places of Curriculum Making” but this week I want to respond to it a little differently by collecting the various picture book titles that are mentioned in this book because they are excellent resources to help students discuss belonging and identity. The Name Jar by Yangsook Choi is a book about learning to value our differences. I have read this beautiful book and the message that we can try to fit in but that our differences make us special made me fall in love with this book. The main character comes to a new classroom from Korea and decides to ask her classmates to help her choose a new “american” name. On her journey through this process a classmate learns her real name and begins to encourage her to keep her special name. I would use this book to start a discussion and story sharing where students are asked to share what makes their name special, what stories are told about their name in their family and where did their name come from. What you Know First by Patricia MacLachlan is the story of a child leaving the home they know for the unknown. Patricia’s stories are always well written, the words perfectly chosen and manage to convey so much in the least amount of text. This story is no different it is incredibly powerful and tells the importance of remembering our past while remaining open to change. This would be an excellent book to open a discussion about memories of places our students have been and honour the journeys that brought us all to the common classroom we are in now. It would also be a great book for when a students leaves or joins the classroom to give them an invitation to share their stories about moving. Tea with Milk by Allen Say is remarkable for more than just Say’s amazing illustrations. This story expresses the frustrations of a young woman as she tries to find her home and identity. This book would be great to use with teens or students struggling with finding their identity, especially when that identity may be different from what their parents would like it to be. The exploration of the main character as she breaks from tradition and tries to find her place will resonate with teens who are searching for their own identity and could serve as an excellent prompt to share the things that make us distinct from our parents. Puff the Magic Dragon by Peter Yarrow. I must be honest that I grew up on this song and so will always consider it with great fondness. I will also always prefer it as a song story rather than a storybook. My bias aside, it is an excellent story about growing up and the things we leave behind as we grow. This could be an excellent introduction to a sharing session where students bring in something they once loved but have now outgrown and share the memories that they have of it. Where the Sidewalk Ends by Shel Silverstein is an essential book for any classroom library. Mr. Silverstein’s poetry is funny, thought provoking, and child friendly. I still avoid picking my nose thanks to his poem about the sharp tooth snail that lives up your nose to bite off fingers. Sometimes his poetry manages to be profound even in it’s silliness and gives a way into tough topics without the need for a lengthy story. Even if he just helps you as a teacher find the playfulness of childhood it is worth the price of the book. Posted in Uncategorized and tagged book review, Booklist. Bookmark the permalink. As part of my crazy idea to take three summer courses at once I am taking a education library class. I love picture books and sharing books with kids. So as part of this I wanted to share some books with you. I’m thinking this is a good way to keep exploring new books and so I might make this a regular feature on this blog. Let me know your thoughts and any suggestions which would make this something more useful for you. When dogs have trouble who do they turn to? Why it’s Mr.Mutt the dear abby of the dog world. 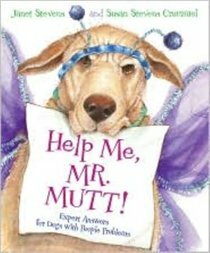 In this fun book Mr. Mutt helps all sorts of dogs solve their problems but what he doesn’t know is that his own problems are going to take over. Once his problem gets out of control can Mr.Mutt solve his own trouble? Read the book to find out. As an added bonus this book includes a search and find list to keep the fun going even after the first reading. For classroom use this would be a great book to use while teaching letter writing or exploring problem solving skills. This book is hard to explain in a book talk format it is the story of what happens when the red dot picks on the blue dot. Through the story and amazingly simple but beautiful illustrations the author examines the concepts of colours and numbers while sharing a story about being true to yourself in the face of bullying. The anti-bullying message is well done with a gentle touch. Never preachy or heavy handed the author conveys the feelings of both the bully and the bullied. Even young children can gain a lot through this story and the beautiful illustrations make it a natural for a read aloud. 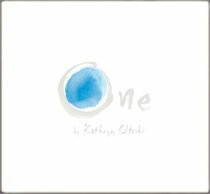 Posted in Book List and tagged book review, Janet Stevens, Kathryn Otoshi, library, read alouds. Bookmark the permalink.